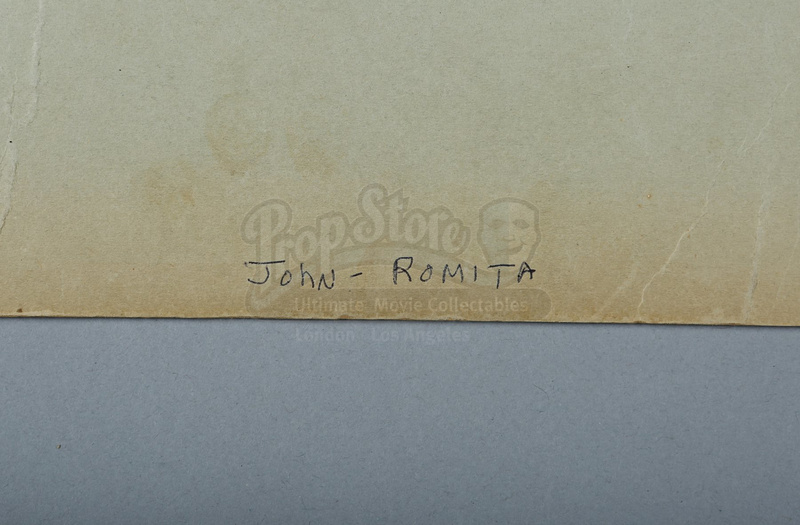 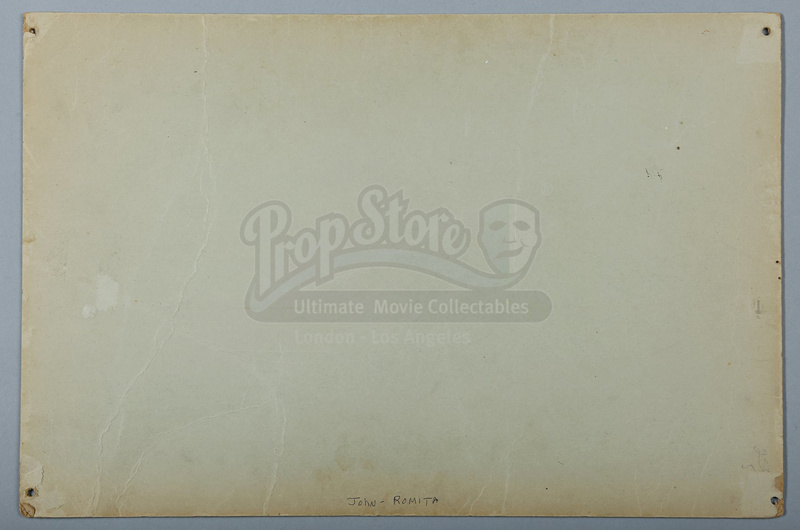 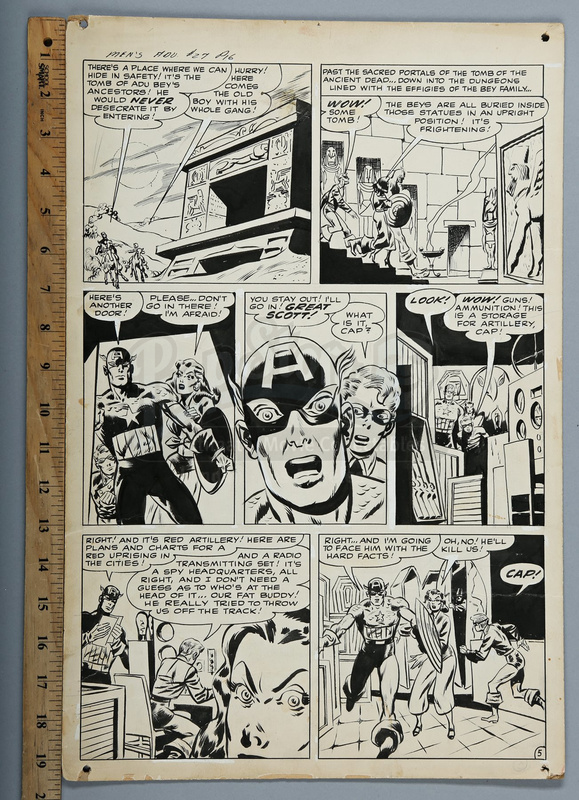 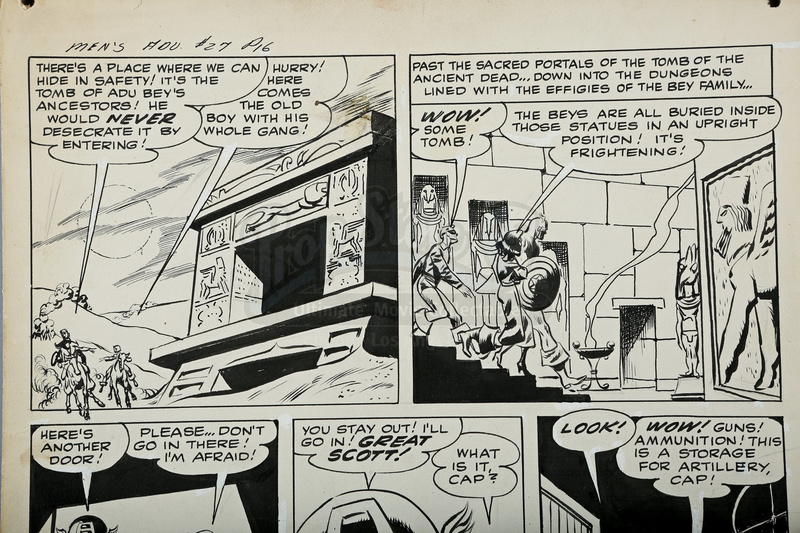 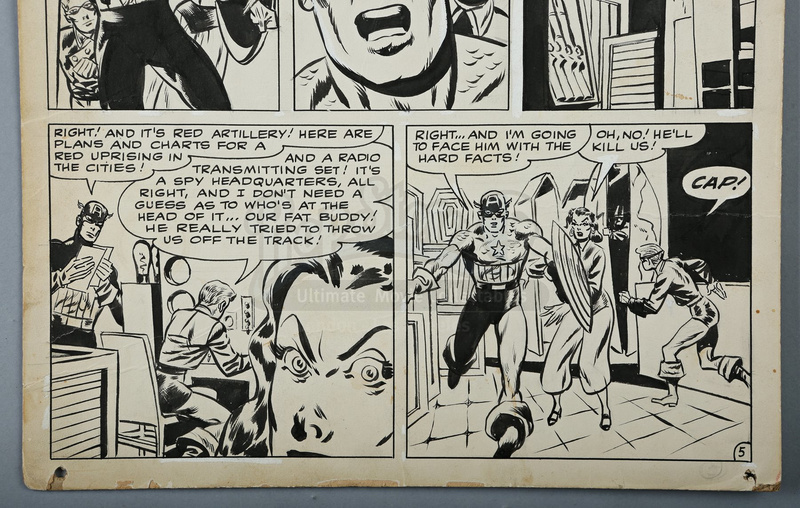 Hand-drawn artwork by Mort Lawrence used to produce page five of the Captain America story in Men’s Adventures #27. 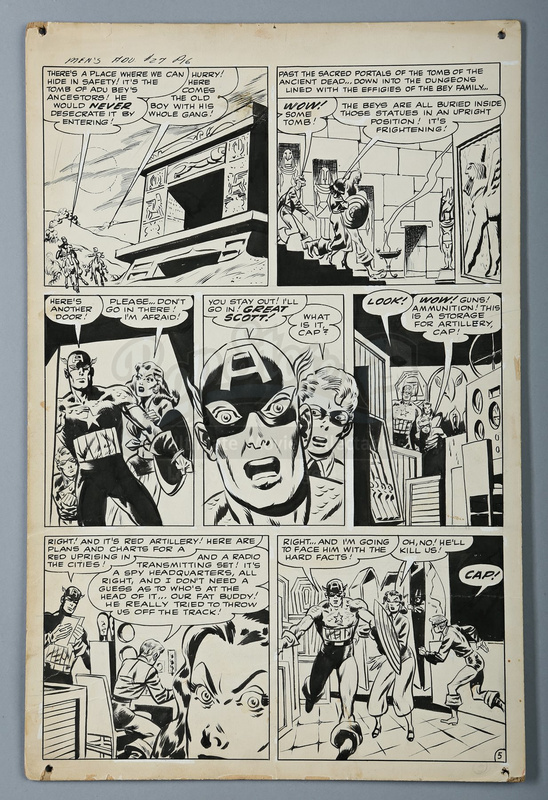 Captain America appeared in very few comics during the 1950s, with one of his rare adventures being The Girl Who Was Afraid, published in Men’s Adventures #27. 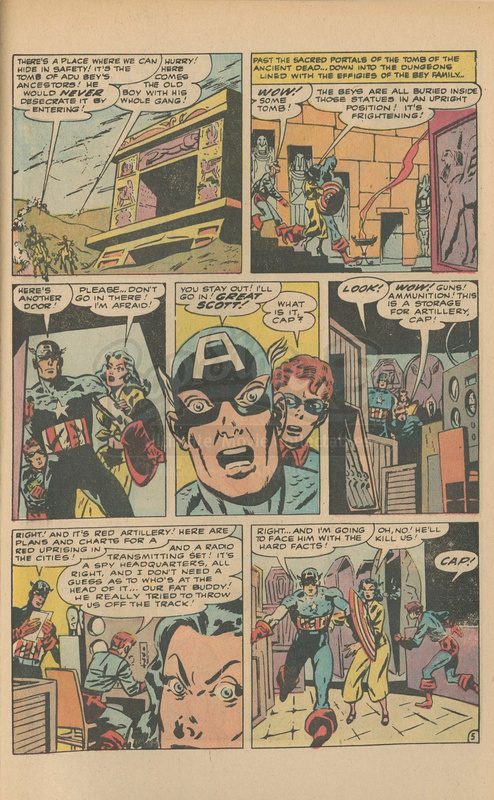 The story sends Captain America and Bucky Barnes to Egypt to fight communism. 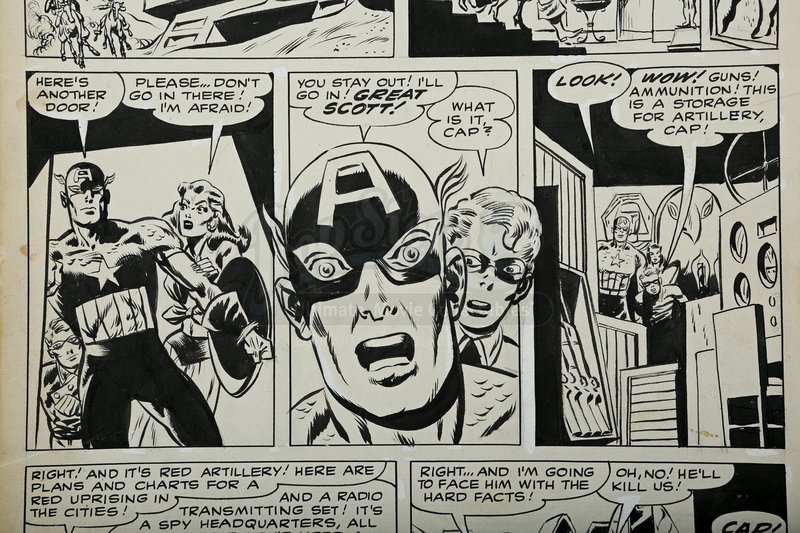 This artwork is from one of only three Captain America stories still known to exist from the ’50s, and is one of the last stories to feature Captain America’s original sidekick Bucky Barnes. 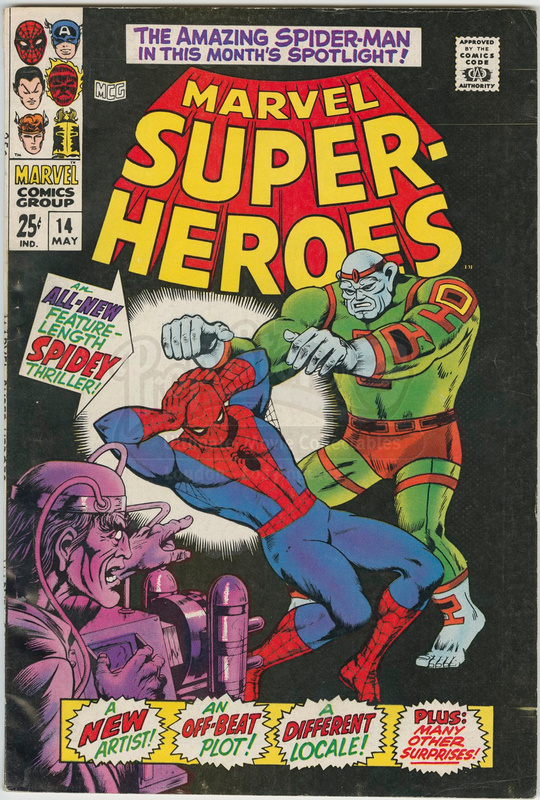 When Captain America re-emerged in 1964 in the pages of Avengers #4, Bucky had apparently perished in an explosion that had thrown Captain America into icy water, where he remained frozen until discovered by the Avengers.